Let Wonder Woman protect you by pinning this Wonder Woman Movie Logo Shield Pin on your clothes. 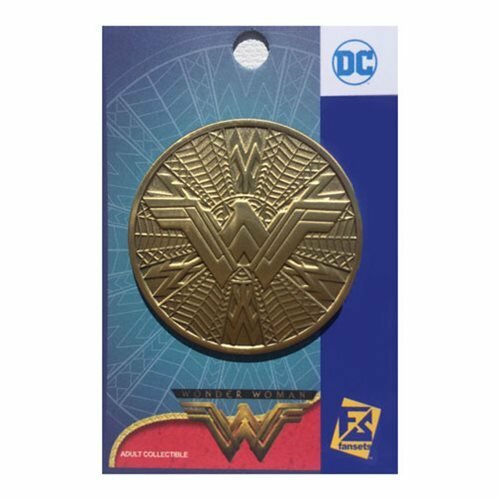 Featuring the logo from the hit DC movie Wonder Woman on a shield, this pin works great for people looking to spice up their outfits as well as those looking to add to their collection. This pin from Fansets measures about 1 1/2-inches in diameter.